Everyone wants beautiful and healthy hair. So what if I told you that good texture, healthy hair growth, big volume and luster were all achievable. Would you believe me? This article is not about hair care products. In this article, we’ll give you some tips on hair growth and how to make your hair grow faster. We’ll include both internal, self-care tips that promote hair growth, as well as external hair care. Let’s see what we can learn from Ayurveda, India’s holistic, complete medical system. Here’s a breakdown of what we’ll cover in this article. Feel free to jump ahead if you need to. Hair is an important part of the human body. And just like every aspect of your body, the quality and type of hair you have depends on various factors. An individual’s basic constitution, sometimes called their ‘body type’ or prakriti, along with the status of the predominant dosha at the time, their diet and lifestyle, all affect hair growth. 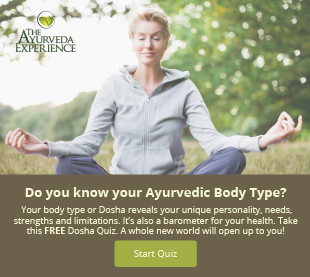 Don’t know your Ayurvedic Body Type or Prakriti? Click HERE to take the FREE Quiz. According to Ayurveda, hair or kesha is an upadhatu or sub-tissue of asthi dhatu or bones. Asthi dhatu or bones get their nourishment from medo dhatu or fat tissue. So for hair growth and protection you have to care about both asthi dhatu or bones and medo dhatu or fat tissue. For healthy hair and hair growth, include healthy fats in your diet to nurture medo dhatu. Healthy fats include appropriate amounts of the following foods. Avoid processed food, fried food and refined sugar. These foods increase fat rapidly and are not included in the healthy fat category. Asthi dhatu gets its primary nutrition from medo dhatu. To provide more nutrition to asthi dhatu or bones, eat food to strengthen the bones. Foods which are good sources of calcium and magnesium are as follows. Dairy products like milk, cheese and yogurt are a very good source of calcium and magnesium. Besides dairy, there are other options for calcium and magnesium which give strength to your bones. These foods include coconut, sesame seeds, broccoli, cabbage, kale, arugula, daikon, tofu, salmon, tuna and eggs. For absorption of calcium, vitamin D is necessary. So be sure to include foods fortified with vitamin D and spend 10-15 minutes in the early morning sunlight. This is the best time to get vitamin D from the sun. Hair is made up of a protein named keratin. So protein is the basic nutrient needed for hair growth. Along with protein, other nutrients are also required for hair growth. People are taking supplements of these nutrients to increase hair growth. But it’s better to add foods which provide you proper nutrition to grow your hair. Food is your best medicine and the kitchen is your first pharmacy. So various foods which promote hair growth are as follows. Eggs, poultry, fish and oysters provide you high amounts of protein. Green leafy vegetables like spinach, kale, swiss chard, mustard greens and rapini provide you iron. Curry leaves is a great way to promote hair growth. Curry leaves are a good source of iron, calcium, magnesium, vitamin A, vitamin B, vitamin C and vitamin E, as well as antioxidants. In South Indian folk remedies it is also believed that regular intake of curry leaves promotes hair growth. Indian gooseberry and citrus fruits are an important source of vitamin C, antioxidants and minerals. Nuts like almonds, walnuts and flax seeds are an important source of fatty acids. Whole grains are an important source of biotin, iron, zinc and vitamin B complex. Carrots are a good source of vitamin A.
Avocados provide you vitamin E.
Yogurt is a good source of zinc. Whatever you eat affects the health of your hair. Therefore, eat healthy food because your diet will be reflected in your hair. In addition to a good diet, external care of the hair has its own importance. Here are some details and benefits of good hair care. These herbs promote hair growth. They are used to make hair oils, herbal supplements, shampoos and other hair care products. Coconut and sesame seeds can also be added to the diet. You can use these two in many recipes or can take them directly. Bhringraj and neelini are also available in oral supplement forms. Do check with your Ayurvedic practitioner or health care provider before consuming herbal supplements. You can use any of above mentioned oils like coconut oil or nariyal tail, sesame seed oil or til tailam, bhringraj oil or neeli bhringraj oil. 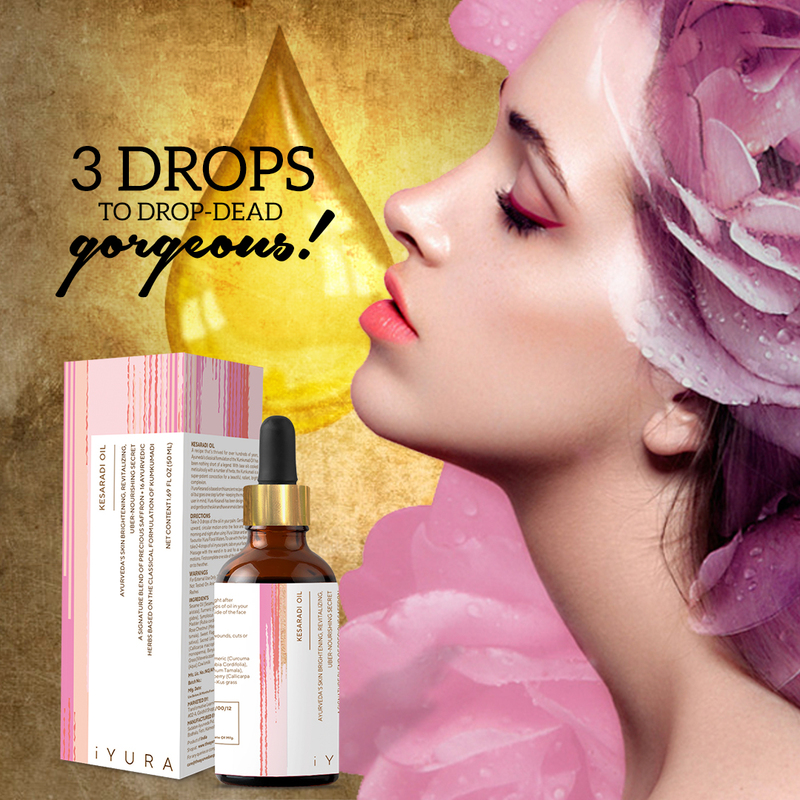 The local application of these oils is prescribed to promote hair growth. Maha bhringraj oil has bhringraj as a main ingredient. It is a very famous herbal oil used to promote hair growth. When neelini is added to maha bhringraj oil then it is called neeli bhringraj oil. Both of these are commercially available products. These oils promote hair growth, improve quality of hair, prevent hair loss and are useful in premature greying of the hair, dandruff and itchy scalp. Here’s how to do head massage. Place some oil in a bowl of warm water. You can also take oil in a lukewarm state. Part your hair. Dip your finger tips in the oil and apply to the scalp and hair. Work your way from roots to tips. Do gentle massage for fifteen minutes. Make contact with the whole head using your finger tips. Massage increases blood circulation to the scalp and rejuvenates the hair follicles. As a result it promotes hair growth. Two hours after head massage, wash your hair. You can also wait until the next morning. Instead of using chemical based shampoo, use a mild herbal shampoo. These herbal hair washes and hair packs promote hair growth and grow hair faster. You can make these herbal hair washes and hair packs at home. They are very easy to make. They all promote hair growth and make hair shiny and beautiful. Use the below mentioned herbs to make an herbal hair wash.
Reetha (Sapindus mukorossi): Reetha is soap nuts. These have been used by women to clean hair and scalp for centuries. According to the Ayurvedic text books, soap nuts are helpful in making foam when shaken with water.7 They contain saponins. They cleanse the hair and scalp without demolishing their natural oils. With regular use, soap nuts promote hair growth, improve hair texture and volume. Dry amla fruits (Emblica officinalis): Amla is the Sanskrit name for Indian gooseberry. It is loaded with antioxidants and vitamin C. It is useful in rejuvenating hair and as a result, contributes to hair growth. It is also useful in dandruff. Hibiscus flower and leaf powder: Hibiscus is good for the hair and helpful in hair loss.8 Hibiscus also helps in conditioning hair. Take a handful of soap nuts and Indian gooseberry fruits in a bowl. Add one teaspoon of hibiscus powder to it (flower and leaf). Add about two cups of hot water and allow the mixture to soak overnight. In the morning, cover the bowl with a lid and shake it. When you see frothiness or mild foam in the liquid, it is ready to use. Strain the liquid into a jug. Rinse your hair properly with plain water. Pour some of the strained solution over your hair and scalp. Massage for 5 minutes. Initially it will not give you much lather. Rinse it off thoroughly with plain water again. Repeat the process with some more solution and you will feel a slight lather at this point. Now wash it off thoroughly with simple water. You can repeat the process one more time if you feel the need. A slight lather formation is an indication of hair cleansing. Feel free to wash your hair two to three times a week using this method. If you are running short on time, you can use this alternate method using the same herbs. Take soap nut powder and Indian gooseberry powder instead of dry fruits of these herbs. These powders are commercially available. You can also make these powders at home by grinding them finely in a mixer. Make a paste using some water with the soap nut powder, Indian gooseberry powder and hibiscus fruit and leaf powder. It should be a medium consistency. Apply the paste to your hair and scalp. Massage gently using your finger tips for two to three minutes. Now start rinsing with water thoroughly. Make sure all the powder comes out of the hair. If you are making powder at home, you can also store some powder in a jar for future use. Bhringraj has numerous health benefits for the hair. It’s called the ‘king of hair’. It has been used in numerous ways to promote hair growth. 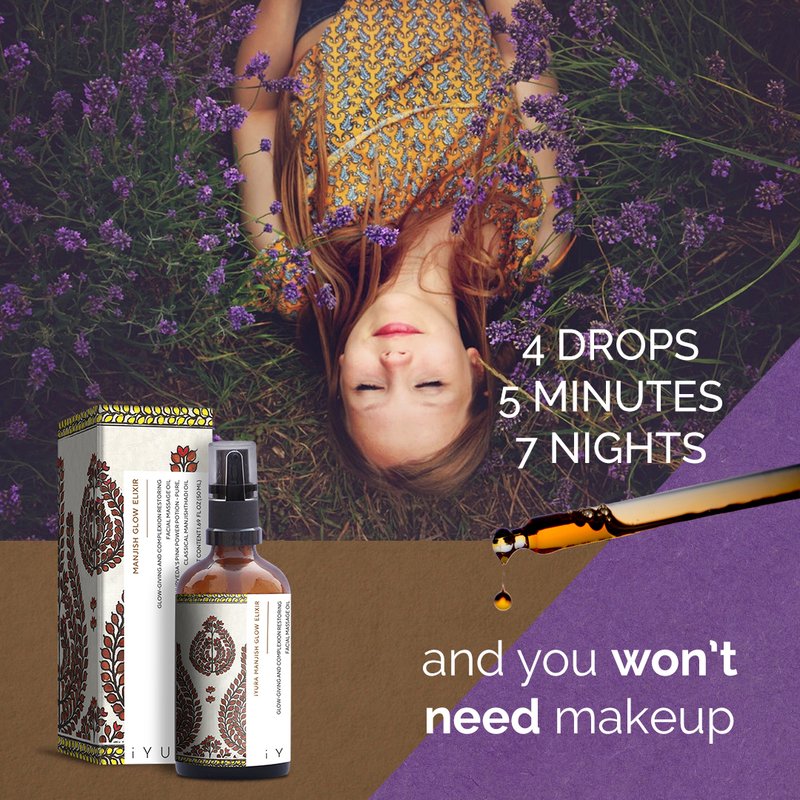 It prevents premature greying and even helps in inducing better sleep. Here’s an easy way to make a hair pack with bhringraj. Take around five tablespoons of bhringraj powder. It can be a little bit less or more according to your hair. Make a fine paste of medium consistency. Apply this paste to your scalp and hair with the help of a hair brush. Continue parting your hair so that it can be applied all over the head. Leave the hair pack on for fifteen minutes. After fifteen minutes, wash your hair properly using simple water and then wash your hair again using a mild herbal shampoo. You can use this hair pack two to three times a week. Shikakai contains antioxidants. It helps in restoring scalp health and as a result, promotes hair growth. It does not strip natural oil from the scalp and hair. Take a few pieces of shikakai dry fruits in a bowl and pour two cups of warm water over it. In the morning, cover the bowl with a lid and start shaking it. When lather starts forming, strain the water into a jug. First, rinse your hair thoroughly with water and then pour some of the shikakai powder onto your scalp. Do gentle massage for two to three minutes, then wash your hair thoroughly with water. Now again pour some shikakai water on the scalp and hair and do gentle massage. A slight lather will form, a sign of hair cleansing. Wash the hair and scalp thoroughly with water. Take 5 tablespoons of shikakai powder and make a fine paste of medium consistency with water. Apply this paste evenly on your scalp and hair and leave it on for fifteen minutes. Wash it away with simple water. Do not comb your hair when it is wet. Wet hair is prone to breakage and may lead to split ends. Use a wide toothed comb as it is helpful in preventing hair loss. Do not comb your hair very forcefully and very frequently. Do not tie your hair too tightly. It stretches your hair and can make your roots weak, resulting in more hair loss. Dry hair naturally if you can. If you are using a blow dryer then maintain a proper distance from your hair and follow all the precautionary measures. Trim the split ends of hair when needed. Protect your hair from direct sunlight and dust. They can steal the natural oils and make hair brittle and dull looking. You can use a scarf or cap to cover your hair while outside. Excessive coloring, straightening, curling and excessive use of chemical based products like hair gels and hair sprays also effects the hair and may promote hair loss. Try to limit their use. Proper intake of water is also necessary. Get sound sleep – 6 to 8 hours a day. Pranayam and sirsasana are also helpful in hair loss and to promote hair growth. Avoid excessive intake of alcohol, cigarettes or any other product belonging to this category. Try to control excessive stress and anxiety. They may also lead to hair loss and can affect hair growth. We hope you find helpful information here to grow your hair fast. Have you used hair oils and hair packs to promote hair growth? What’s your experience? Please share in the comments below! Dear Dr. Alka … This is a very well written article. Thank you Manoj for liking the article and for your positive feedback. Thank you for sharing your experience Azad. Glad it is helping you. Wishing you health and happiness in future. Thanks Alka Sharma for such an informative and interesting blog. This helps a lot in creating awareness about the simplicity and effectiveness of Ayurveda in our daily life. I would like to ask if there is anything that can be done to stop and reverse pre-mature graying of hair and hair-fall due to genetics and about the Ayurveda practices that can included in daily life to combat the same problem. Thank you Alex for liking the article. In Ayurveda there are rasayana or rejuvenation therapy, herbal management, lifestyle management and some other therapies. All these can be helpful in premature graying of hair and hairfall problem. So you can visit a nearby Ayurveda physician and he will examine your prakriti or Ayurvedic constitution and advise you management accordingly. Thank you sharing this amazing blog. very useful info. Thank you Azad for appreciating the blog.